Tim McLoone: Musician, entertainer, restaurateur, entrepreneur and humanitarian. The modern day Renaissance Man! Schooled at Harvard and accomplished in music, athletics, and business, Tim McLoone opened his first restaurant in October of 1987, McLoone's Rum Runner, located on the Shrewsbury River in Sea Bright, New Jersey. He did it as much to carve his niche as a restaurateur as well as to establish a place for him and his musician friends to perform. And perform they have, with such notables as friends Bruce Springsteen, Jon Bon Jovi, Southside Johnny, Bobby Bandiera, as well as his own band, Tim McLoone and The Shirleys, making appearances over the years on the McLoone's stage. The piano bar was voted number one on the Jersey Shore for many years. Ironically, after celebrating their 25th anniversary, the Rum Runner was hit hard by Hurricane Sandy in 2012 and reopened in May 2016. Tim's successful reputation garnered much attention and respect which led to Applied Development approaching him in 2004 and their Pier Village project in Long Branch, NJ. Presented with an opportunity to be the first lease signer, and the first restaurant, as well as the cornerstone of Pier Village, Tim enthusiastically embraced the possibilities. McLoone's Pier House opened its doors in May of 2005. This 16,000 square foot facility features ocean front dining, banquets, outdoor dining, two bars, and of course, live music many nights of the week. Although the atmosphere is a bit more casual than the original Mcloone's, the distinction associated with the McLoone's brand is quite apparent and became a popular destination for Jersey Shore visitors and locals alike. McLoone's next venture was a bit different from the popular shore restaurants generally associated with the McLoone brand name. Partnering with The New Jersey Sports and Exhibition Authority in 2007, McLoone was awarded the contract to open a restaurant in a new off-track wagering facility being built in Woodbridge, NJ. Opening in October of 2007, McLoone's Woodbridge Grille delivers the same high quality of food and service one would expect at any of his other locations. Once again, this is a direct result of Tim McLoone's vision, passion, and enthusiasm. He touches every facet of the business to be sure that the McLoone brand remains strong across the board. In January of 2008, national developer Madison Marquette approached Tim McLoone. Being aware of the respectability associated with the McLoone's brand, they were eager to have McLoone on board for the rebirth of the iconic Asbury Park Boardwalk. Tim was so enthusiastic about the project that in March an agreement was made for McLoone's Restaurants to take over the operations of Salt Water Beach Cafe, located on the boardwalk level of the historic Howard Johnson's building at the Fifth Avenue Pavilion. Tim's passion for music led to the concept of opening a supper club, reminiscent of New York Supper Clubs from the 1930s and 1940s. He envisioned creating this on the second floor of the Asbury Park facility, which at that time was nothing but an empty shell. McLoone orchestrated an aggressive construction schedule to coincide with an opening prior to the busy summer season. Nine weeks later, in July of 2008, Tim McLoone's Supper Club opened its doors. 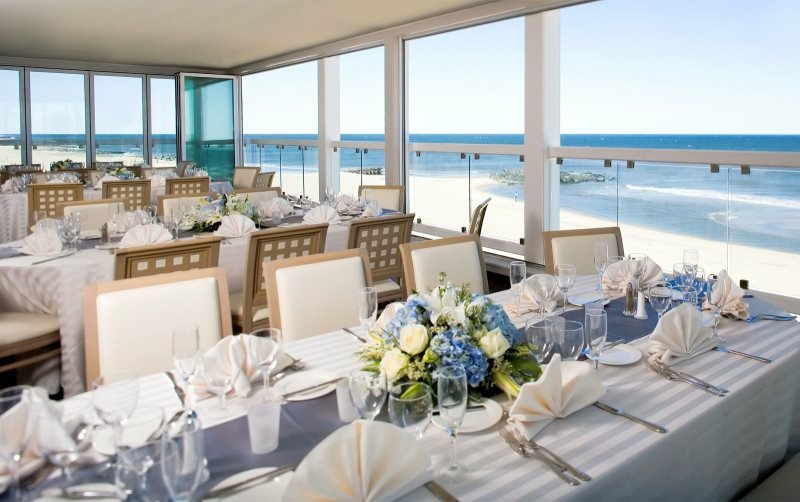 It now showcases some of the area's finest entertainment in addition to nationally-recognized acts while offering upscale dining as well as the opportunity to host private parties in this stunning room with ocean views. Downstairs, McLoone's Asbury Grille serves a creative but casual menu with ample outdoor dining. This combined business plan, conceived by McLoone, attracts a wide demographic and ensures success. "We are so excited to be part of the rebirth of one of America's iconic locations," commented Tim. The company's first venture outside of New Jersey, McLoone's Pier House at National Harbor, opened in June 2010. 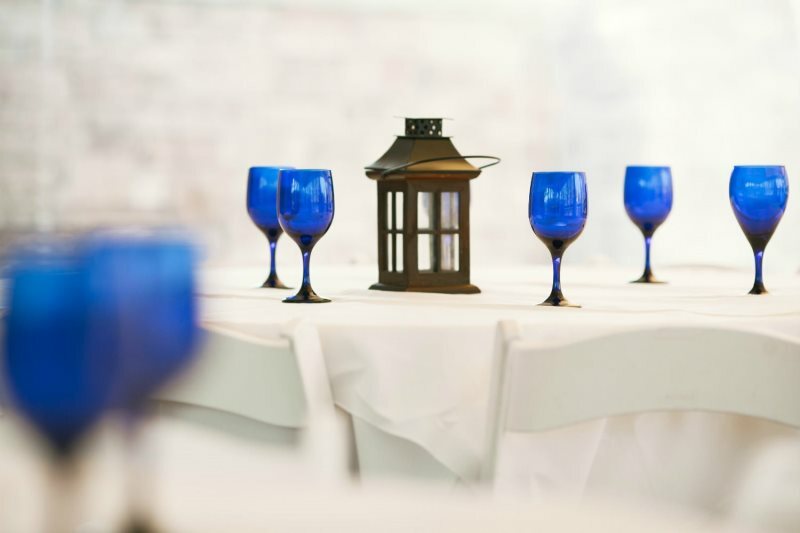 Located on the Potomac River, the Pier House offers the best view of the sunset in the area. 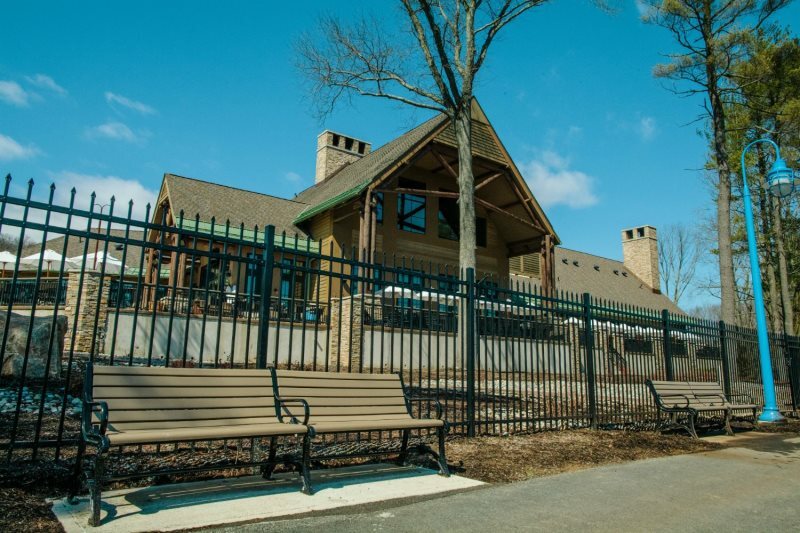 In 2011, McLoone's Boathouse in West Orange opened on the South Mountain Reservation alongside the reservoir. The restaurant neighbors Turtle Back Zoo & the Codey Arena. 2012 marked the year that McLoone's Bayonne Grille opened, which is located on Route 440 North in the New Jersey Sports and Exposition Authority's Off-Track Wagering Facility. It features two full bars, a VIP room and a beautiful dining room used for a la carte dining and events. CJ McLoone's also opened in 2012 and features an intimate, American tavern experience for the entire family. Lunch and dinner are served seven days a week in the casual and spacious pub as well as the newly renovated dining room. It is the perfect place to relax and watch the games in season. When Superstorm Sandy hit the New Jersey coastline in October 2012, Tim suffered damage to several shore restaurants including The Rum Runner, Pier House in Long Branch and Asbury Grille and The Supper Club in Asbury Park. Both Long Branch and Asbury Park locations quickly reopened due to the resilience and determination of McLoone's staff, solid building structures and community support. In return, Tim opened a venue at Fort Monmouth, NJ to host a free Thanksgiving dinner to area families and individuals who lost their homes during the devastating storm. In 2014, The Robinson Ale House, located in downtown Red Bank, opened. It truly feels like it has been here for decades. With a design inspired by pubs and eateries of 1930's and 40's, Robinson's offers American fare and compliments it with a large craft beer selection, fine wines and a full bar. 2015 marked the opening of McLoone's Clubhouse Pub, which features off-track wagering. 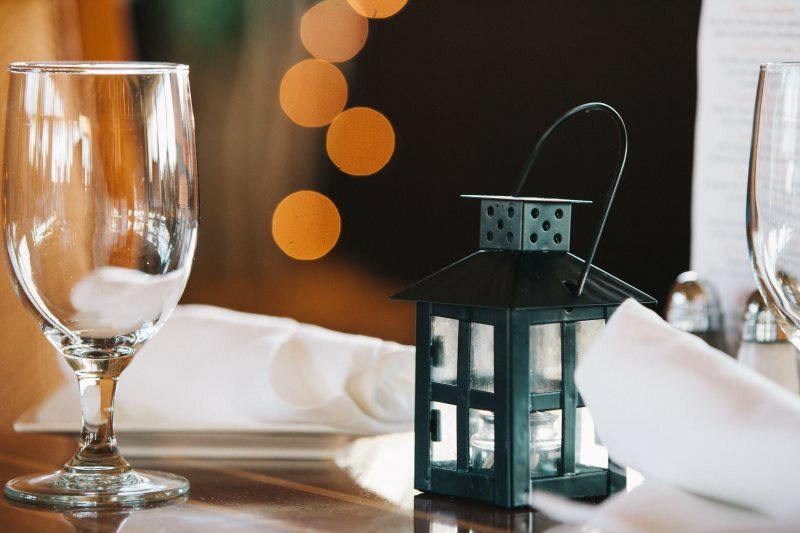 It continues our tradition of casual and upscale dining experiences with a quality and creative menu synonymous with the McLoone's brand name. In addition to his business endeavors, Tim McLoone's name is synonymous with philanthropy. Tim founded Holiday Express in 1993, a non-profit charitable group of over 100 professional musicians and hundreds of other volunteers who create free Holiday events for 50 organizations who are in need of good cheer between Thanksgiving and Christmas Eve for the past 20 years. Along with those events, Holiday Express has also achieved national acclaim from their appearances on the Rockefeller Center Tree Lightings and the "Today Show" on NBC-TV, as well as its trip to the Gulf after Hurricane Katrina. McLoone's passion for helping those in need has carried over into the corporate culture that makes up McLoone's Restaurants. Today, each of the restaurants participate in the Holiday Express season by choosing one of the events to make their own, not only through fund raising on their behalf, but also by cooking and serving a complete meal for hundreds in several soup kitchens on Christmas Eve. Many of McLoone's employees are also volunteers for this organization and have embraced the concept of 'paying it forward' thanks to the example set forth by Tim McLoone. In addition to his philanthropic endeavors with Holiday Express, Tim McLoone has always enjoyed a close relationship with the Boys and Girls Club of Monmouth County, located in Asbury Park, as well as The Valerie Fund at Monmouth Medical Center of Saint Barnabas Health. McLoone's Restaurants also support many local and civic groups within their communities. To speak about Tim McLoone without the mention of music or sports is impossible. As a long established and accomplished area musician, McLoone continues to entertain customers in his restaurants with his eleven piece band, Tim McLoone and the Shirleys, and performs regularly at The Supper Club as well as his other locations. Sports also had a significant influence upon McLoone's life. As an All-American runner at Harvard, McLoone parlayed his interest in athletics and entertaining into a career as a sports announcer. He has done broadcast work for the U.S. Olympic Trials and was part of the Emmy Award-winning broadcast team for the New York and Los Angeles Marathons. Off-camera, McLoone directed the U.S. Men's Olympic Trials in 1996 and served as musical director of the Rockefeller Center Tree Lighting Ceremony for NBC from 1998-2000. He serves as Director of Game Operations and Arena Announcer for Seton Hall University basketball team, announces the NCAA basketball games at The Meadowlands Arena and also coaches the boys and girls cross country track teams at a local New Jersey high school, Rumson-Fair Haven. In November of 2009, The New Jersey Restaurant Association presented Tim McLoone with their annual "Gold Plate Award". This coveted award is given in recognition of current and outstanding service in the industry and community. In March of 2010, Tim was honored as "Irishman of the Year" by The Friendly Sons of Saint Patrick. These come in addition to a long list of previous awards and honors which include such things as "Man of the Year," which was given to him by Monmouth Medical Center Foundation. His most recent accolade would be "Restaurateur of The Year" presented by the New Jersey Restaurant Association. Continuously supporting so many wonderful people and causes, a radio show was born on Clear Channel's WOR 710 AM. Hosted by Tim, this show was a natural fit to showcase his gift to give. In 2012, a dear friend and WOR radio host, Joan Hamburg, convinced Tim to create The Tim McLoone Radio Show. His first show aired in December of 2012 and taped in front of a live audience at Tim McLoone's Supper Club in Asbury Park every week. This variety-type show covered a vast array of topics including sports, music, food, entertainment and charity. Joining Tim at the piano were regional and national guests who provided their take on the hot topics. Tim McLoone and McLoone's Restaurants are frequently and consistently sought after by developers of new projects throughout the country. This in itself is a true testament to the core values and unique brand that Tim McLoone continues to cultivate.